UNITED NATIONS, December 10 -- Who is Herve Ladsous? It's a question that Inner City Press began asking at the UN from the day Ladsous was named as the last minute fill-in for Jerome Bonnafont as head of the UN Department of Peacekeeping Operations on September 2, 2011. As Inner City Press pursued the inquiry, starting in late May 2012 Ladsous began refusing to take any Press questions at all, even benign questions about the UN's role in Abyei, Sudan. On November 27, Ladsous refused Press questions about rapes by the Congolese Army in Minova and retreated to a hallway with correspondents he selected (video here). He refused follow up questions on Minova and his Department's supposed Human Rights Due Diligence Policy on December 7, video here. Now "who is Herve Ladsous" is a question that Inner City Press gets asked, by diplomats, UN staff, even journalists who cover France, and its former colonies, such as Billets d'Afrique. That's where the Ladsous story begins: with France and colonialism, in Oran and Madagascar. Now he is the fourth Frenchman in a row to head DPKO. 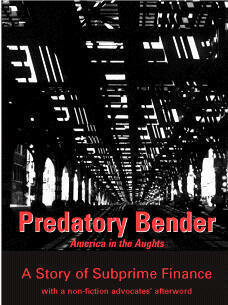 Inner City Press is reliably informed that Ladsous was rejected for the position by Kofi Annan in 2000. But Ban Ki-moon gave it to him, or accept the Sarkozy administration's "dumping" of Ladsous on the UN, eleven years later. This has been described to Inner City Press by a senior Annan administration official; the word "dumped on the UN" was used. Ladsous joined the French government in 1971, and first appeared in the press in 1983, defending France's nuclear weapons testing in the Pacific. As reported at the time, Ladsous said "France will take whatever action is necessary to meet its defense needs." This still seems to be his position, even while ostensibly working for the UN. Ladsous' most problematic service, and one that some feel disqualifies him during the scandal surrounding his DPKO in Eastern Congo in late 2011, was his public positions during the Rwanda genocide in 1994. As France's Deputy Permanent Representative to the UN, Ladsous repeatedly argued for a safe zone for the officials of the genocidal Hutu government of Juvenal Habyarimana, to whose wife France is now offering permanent residence. Back in July 1994, Ladsous blamed the entire crisis on the RPF and said France would oppose them seeking to enter the genocidaires' French-protested safe haven in southwest Rwanda. Ladsous' replied was that Bakuramutsa's question was ''needlessly unpleasant.'' But who's being unpleasant now? By 1997, Ladsous was involved in the UN Oil for Food program, the documented scandal of which he would end up denying in 2004, including as to businessman Patrick Maugein and former interior minister Charles Pasqua for having received Iraqi vouchers to sell 11 million barrels of oil. 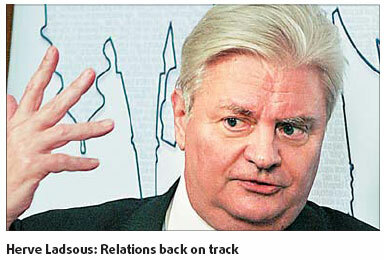 By then Ladsous has become Quai d'Orsay spokesman, replacing Francois Rivasseau. In that post, Ladsous was on administrative board of Agence France-Presse, a wire he continues to wield. And in his Quai d'Orsay role, Ladsous promoted France's position in Tunisia, run by dictator Zine El Abidine Ben Ali, while denouncing the Laurent Gbagbo government in Cote d'Ivoire. On Cote d'Ivoire, after a report slammed as "a delinquent mission from the French foreign ministry," Ladsous replied that "it is up to the head of state (Gbagbo) and the authorities to take their responsibilities in the light of the facts established" in the report), which Ladsous said he'd "learned of the content of the report, which is currently with the (UN) secretary general, through the press." Now Ladsous refuses to take Press questions. On Haiti, Ladsous called it "completely inappropriate to say that France was an accomplice in a political kidnapping of Mr. [Jean-Bertrand] Aristide." But the AU said, "The African Union expresses the view that the unconstitutional way by which President Aristide was removed set a dangerous precedent for a duly elected person and wishes that no action be taken to legitimize the rebel forces." And Ladsous' boss Dominique de Villepin's sister, Veronique, was charged. Once out of this spokesperson job, replaced by Jean-Baptiste Mattei, Ladsous remained on the hook as he will here, charged with manipulating the justice system in Djibouti, to stymie the investigation into the killing of judge Bernard Borrel there. Ladsous was investigated for having "sought to pressure the judiciary to hand over the case file to the Djibouti authorities." Amid the Arab Spring, Ladsous as chief of staff to foreign minister Michele Alliot-Marie was involved in her scandal-plagued receipt of air flight gifts from Aziz Miled, a listed and sanctioned associate of dictator Ben Ali's brother-in-law Belhassen Trabelsi, even in December 2010. On February 16, 2011, the aforementioned Agence France-Presse reported that "Alliot-Marie had a short telephone conversation with Mr Ben Ali as she had with many other heads of state or foreign ministers," her aide, who asked not to be named, told AFP on Wednesday." It was later that year on September 2, 2011, that Ladsous was at the last moment "dumped" on the UN in place of Jerome Bonnafont, who was already receiving cards of congratulations at the UN, for example from French politician Jean-Marie Bockel, but who bragged about it in India, where he was ambassador. 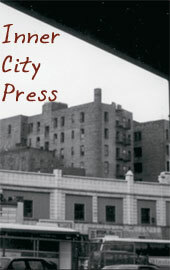 When Inner City Press reported and then reviewed the specifics of the last minute switch, anti-Press moves began, further heating up in late May 2012. Then, opportunistically, Ladsous said on UN Television that he would not answer Inner City Press' questions. Video here, at Minute 28:10. He has repeated this four times on-camera since, refusing any of the questions above about who is Herve Ladsous? Instead, he arranges puff pieces with friendly media, like the Journal du Dimanche. Perhaps most interesting, when current French Permanent Representative to the UN Gerard Araud was Ambassador to Israel in 2004, Ladsous spoke for him. After Araud regretted the reporting of an on the record quote, Ladsous issued a written statement dropping a previous claim it had been off the record," now saying it was only "allegedly uttered" and had been "taken out of context." How Ladsous spoke, and for whom, are problems. Now as a supposedly independent international civil servant Ladsous is supposed to treat all Security Council members, including Araud, the same. But he does not. There is a growing call that Ladsous should go; the military expert of a major Troop Contribution Country calls Ladsous the worst head of DPKO ever. But who makes the decision? 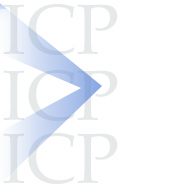 Watch this site -- and this series.